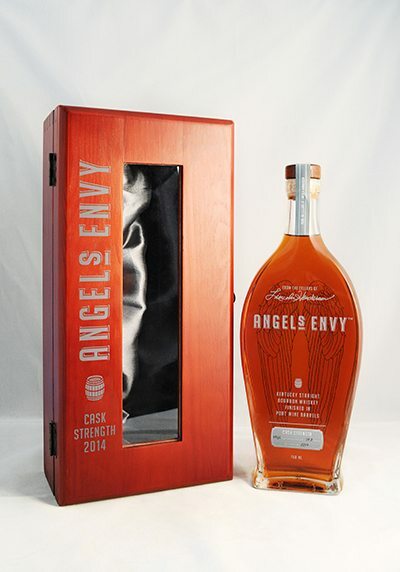 In 2013, Spirit Journal ranked Angel’s Envy Cask Strength as the “Best Spirit in the World.” This was, understandably, a pretty big deal for us. To win, not just in the bourbon or whiskey categories, but over all spirits? As a young, independent brand, we were very proud of that particular accolade. Which made the next year even harder. How do you match that? Well, it helped that we have more barrels to choose from. The more barrels we have, the more chances we had to find those rare, honey barrels full of particularly exceptional spirit. We talked to Chief Innovations Officer and Master Ambassador Wes Henderson to find out why he was so excited about this year’s Cask Strength. Do you prefer the 2014 over previous releases? I think that it’s very hard to compare these releases because they’re so different. It all comes down to personal taste. I think that as we do this more over the coming years and we have an increasing amount of inventory to work from, we’ll have a much greater range. And having more range allows for flexibility in blending. Having more barrels aged at different intervals simply gives us more to work from, and it gives us more control over what we’re able to offer. 2012’s release was very popular critically, but I think I actually prefer the 2014 release. The taste profile of 2012 was very complex, but at a higher proof, it was more difficult to isolate and enjoy the various flavors. I think the 2014’s slightly lower proof also gives us a chance to bring out even more nuances that maybe you simply didn’t taste in previous years. The port finish really shines through in the 2014, delivering a deep color as well as the dried fruits and port notes that weren’t as apparent in previous years. It’s really kind of a flavor explosion. What do you think stands out about the 2014 release? For a whiskey with such a high proof, it’s got a certain softness that I like. You don’t often taste something like that in a higher proof spirit. It’s almost creamy, and yet the finish is just amazing in its complexity. There is just so much going on in there. There are a lot of layers to work through as you taste our Cask Strength. Luckily, all of these nuances really come together as you taste your way through them. It’s a lot like a good book. You should be able to take something new and different away from the experience every time you sit down to enjoy it.